Hamilton Re, the Bermuda platform for Hamilton Insurance Group, is inviting applications from students entering their junior year of college who are interested in participating in an intern programme during the summer of 2019. Reporting into the Catastrophe Modelling team, the internship programme provides an opportunity for two undergraduate students to spend eight to 10 weeks with Hamilton Re. “This year’s internship marks the fourth year of this successful initiative,” said Vice President, Catastrophe Modelling Susan Smith, who oversees the programme. “By recruiting local students, we aim to increase the pool of qualified Bermudians entering the insurance and reinsurance industry. We combine on-the-job learning and formal development so that students can gain work experience and transferable skills to help them make future career decisions. 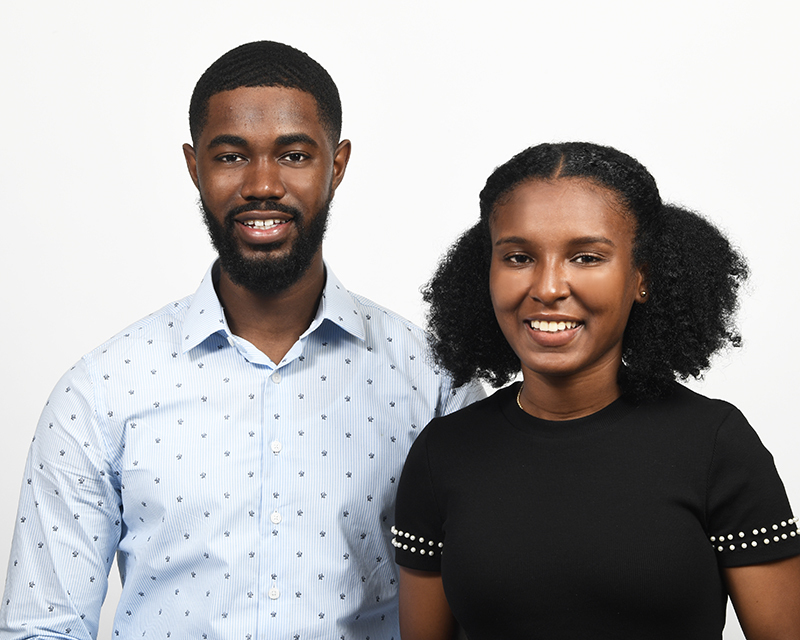 Tomisha Goater and Amon Wedderburn participated in last year’s intern programme. The two students—from the University of Florida and St. John’s University, respectively—were struck by the opportunities to learn and grow at Hamilton Re as they rotated through the company’s cross-functional teams. Ms. Goater is now a fulltime Hamilton Re employee; Mr. Wedderburn is in his junior year and plans to pursue a career in the industry. Anyone interested in learning more about the internship programme at Hamilton Re should email internship@hamiltongroup.com for details.